Coquillettidia perturbans (Cattail Mosquito) ♀. Size: approx. 6 mm. Photo: 08/17/14, 11 pm. Most likely, a Cattail Mosquito with its characteristic banded legs. The species Coquillettidia perturbans can be found in most parts of the US. Females, like this one, prefer the blood of birds and mammals. 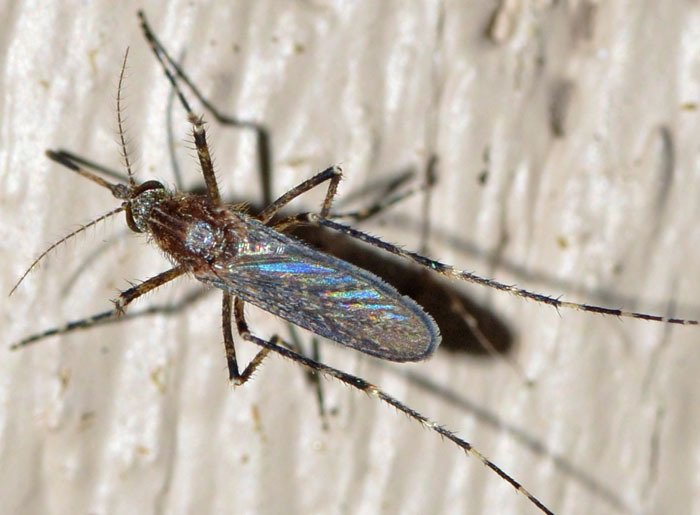 They can spread Eastern Equine Encephalitis (EEE) and West Nile Virus (WNV).